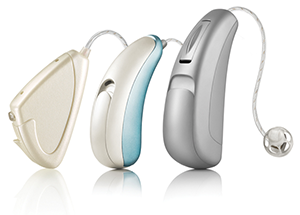 Hearing aids come in four technology levels: Premium, Advanced, Standard, and Essential. Selecting the proper hearing aid greatly depends on your lifestyle and, to a lesser degree, the actual loss. Are you active professionally and socially, what activities do you enjoy, are you in challenging environments, etc? Dr. Stakiw takes this information along with evaluation results to guide you through the selection process to insure you get the hearing aid that best matches your needs and budget. Hands free technology automatically adjusts to your listening environment - whether you are on the phone, in a crowd or in wind. Your digital hearing aid can be programmed and re-programmed with a computer to meet your individualized needs.